For the second “season” of my one brand weeklong test drive (for the explanation of the idea of these test drives see Weeklong Test Drives, Season 1: Annick Goutal ) I chose Yves Rocher, the brand from France that focuses on botanical beauty products. The U.S. consumers know Yves Rocher as a catalog/website order brand but in Europe there are real YR stores and in one of them 20 years ago I bought my first perfume from this brand. After I moved to the U.S., I was getting their new perfumes on and off, not thinking much of them: they were cheap (price-wise), not too complex, added to the line and then removed unpredictably. Recently I learned that there were some well-known noses behind at least some of Yves Rocher’s perfumes: Olivier Pescheux, Christine Nagel, Michel Girard, Jacques Cavallier. It hasn’t changed what I think about those perfumes but it was a curious fact. It’s not the most glamorous or thought after brand but I had a really good time with some of their perfumes; so I want to share those perfumed reflections. 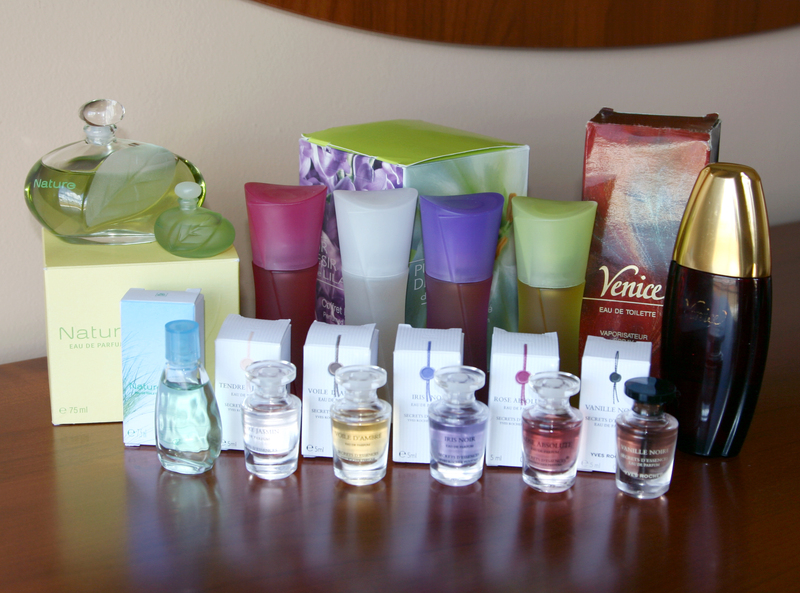 For my WTD I will be “not-a-review”-ing some newer, some older and some discontinued perfumes. This entry was posted in Not a Review, Weeklong Test Drive and tagged Yves Rocher. Bookmark the permalink. Let’s see where it takes us: I’m a little bit sceptical about the brand. Well, they are cheap. And I definitely wouldn’t recommend even looking in their direction right after your Serge Lutents complete line testing ;) But at some point you might even enjoy one of the scents. And, btw, I’ve added you to my blogroll at http://fragrantfanatic.blogspot.com/. Hope you’re ok with that. Cheers!